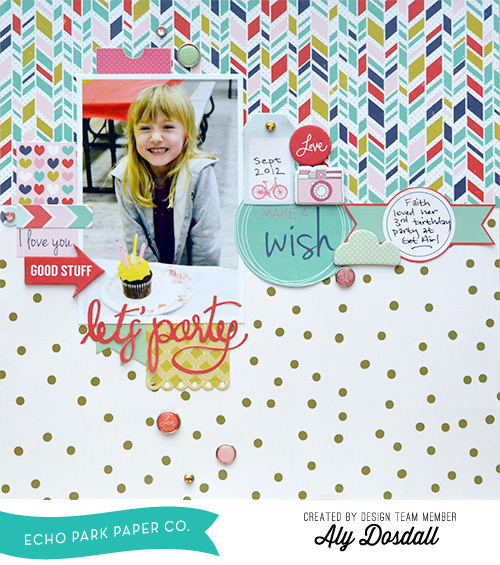 Today I'm sharing a fun new Echo Park Paper layout. While browsing through my photos the other day I found some from my daughter’s third birthday party in 2012. It was so fun to see her little smiling face, and I just had to scrapbook my favorite photo of her. 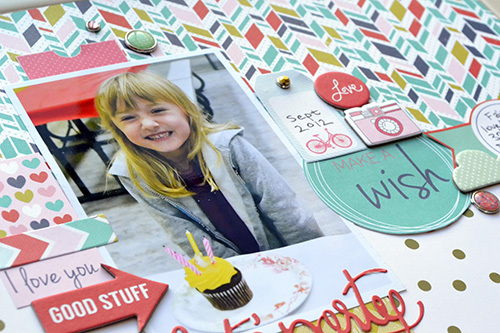 The colors and celebratory theme of the photo fit perfectly with the fun new Anything Goes collection, so I pulled out some papers and embellishments from my stash and came up with this fun page. 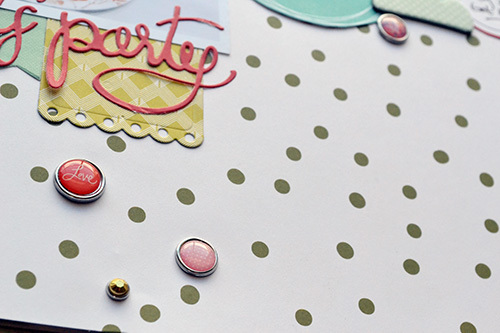 This collection is full of awesome embellishments and journaling cards so I decided to create a collage design element on my page, and then sprinkle some of the lovely goodies around for fun. I love the result! 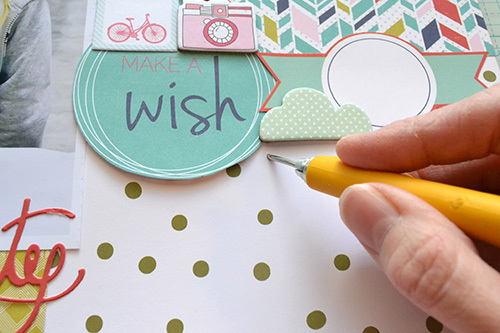 I’ve got a few tips to share with you for using some of the fun items in this adorable collection. I’ll start with a tip for using the brads. Previously I shared a tip for using brads on cards HERE, and today I’ll show you a tip for using brads on layouts. I like to use a paper piercer when attaching brads to my layouts. That’s an easy way to make a little hole where your prongs fit perfectly without creasing your paper. 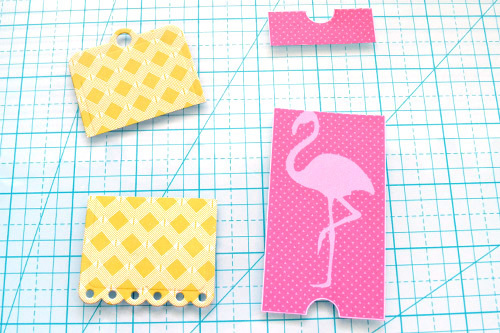 Once I insert the prongs and set them, I cover them with a piece of washi tape. That way they don’t get caught as I’m inserting the layout into the photo sleeve. 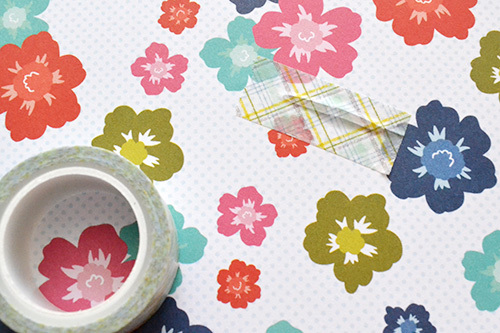 Plus, I know my washi tape is safe to use and won’t destroy my photos. 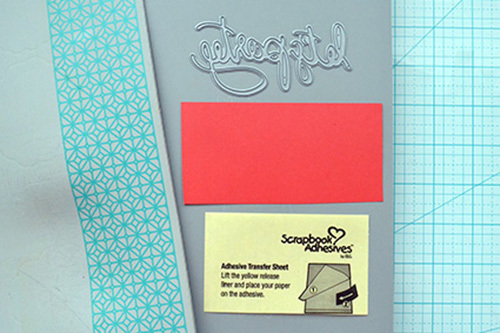 The next tip will help with adhering intricate die cuts to your pages. 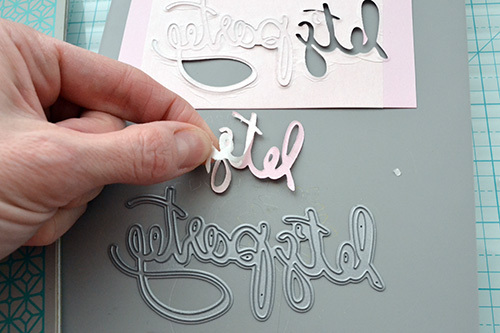 When I’m cutting a thin font, or an intricate design I like to add an adhesive transfer sheet to the back of the paper before die cutting. Then I simply peel the sheet off the back and adhere the die cut to my page. Easy peasy! 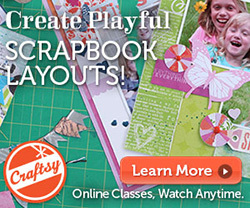 Finally, I love to layer bits and pieces of journaling cards and stickers when creating a collage element on my pages. I’ll often have just a bit of an item peeking out from behind something else. To make my supplies stretch further I trim those items before adhering them to my page, and save the other bits to use on another project. Check out the darling new Anything Goes collection. It’s perfect for celebrations of any kind. 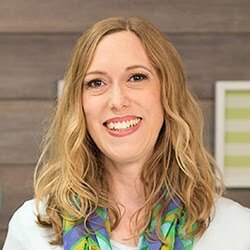 I hope these tips were helpful. 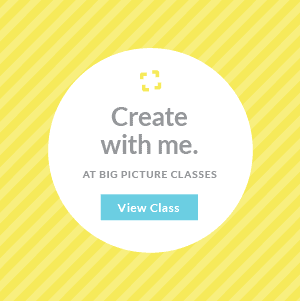 Be sure to try one on your next layout. Let me know how it goes! I love this layout and the fact that you went back to scrap a photo that you liked! I often do this and it makes me so happy! This is an awesome collection. Would be so much fun to play with!